The first poster for the Farrelly Brother’s The Three Stooges has debuted at the film’s official Facebook page. Inspired by original “Three Stooges” shorts, the storyline will have the trio left as newborns outside an orphanage and will follow them into adulthood, the full film being divided into three half-hour shorts. New details have the Stooges getting caught up in a murder plot and then appearing on a reality show. 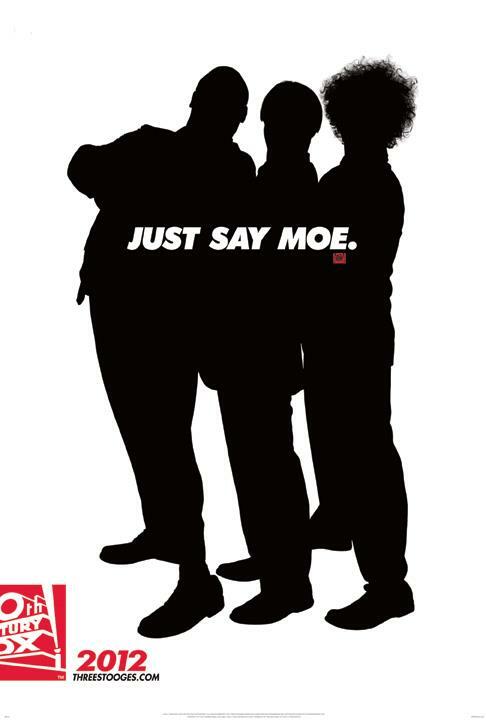 Sean Hayes, Chris Diamantopoulos and Will Sasso will play Larry, Moe and Curly with a supporting cast that includes Jane Lynch, Larry David, Stephen Collins, Sofia Vergara and Jennifer Hudson. You can catch the film in theaters on April 4, 2012.